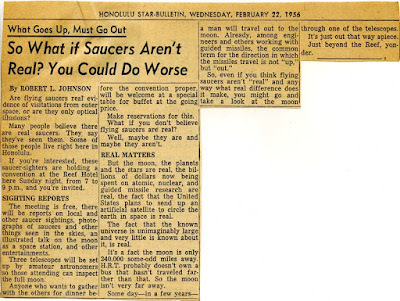 For the UFO historian and sociologist the 1950s is a period of special interest. As a result of the frequent and global reports of unknown craft in the sky coupled with claims of contact with space people the decade witnessed the emergence of the first civilian UFO societies. They ranged from scientifically oriented research organizations to more or less religious or cultist groups. 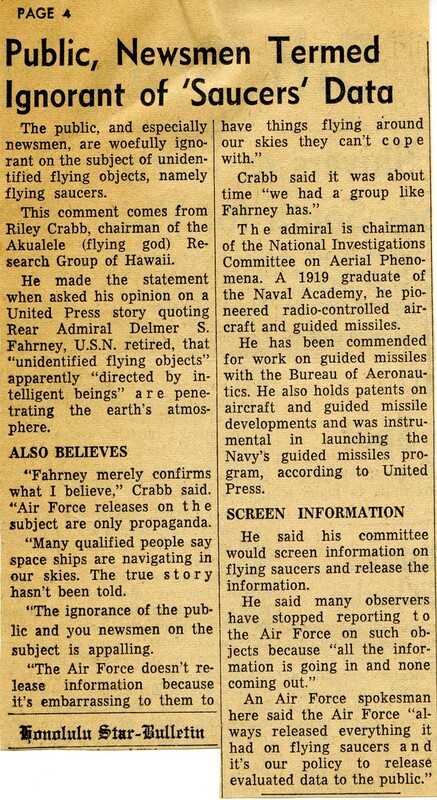 If you happened to live in Hawaii during the 1950s and had an interest in UFOs there was one man you couldn´t miss – Riley Hansard Crabb, founder of the Honolulu-based Akualele Research Group in 1956. Akualele is a local Hawaiian word for ”fire spirits” or ”flying gods”. 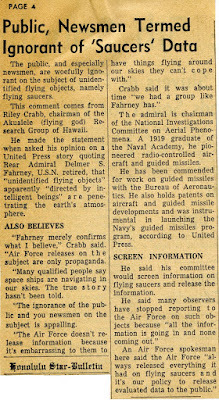 Riley Crabb (1912-1994) was especially well equipped to deal with unexplained phenomena. 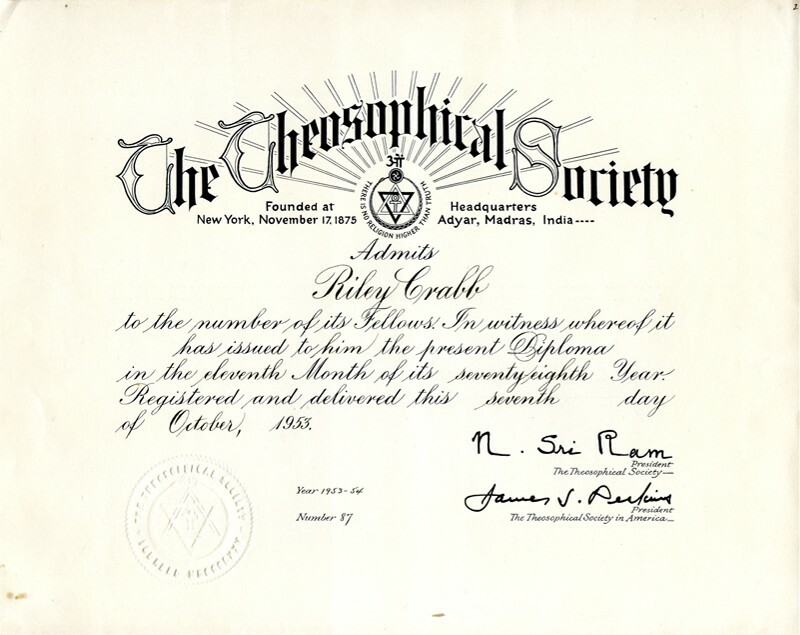 His mother, Mrs. Eunice Crabb, was a student of esotericist and philospher Manly Palmer Hall. 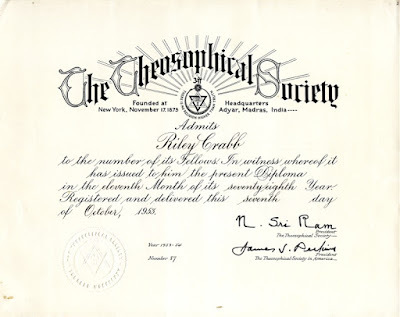 As a young man growing up in Minneapolis, Riley, in 1934, discovered the very extensive library of the Theosophical Society in Minneapolis. This collection of Esoterica he ”tried to read through in record time”. 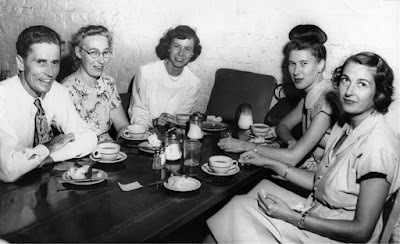 Interest in psychic research led to co-operation with Mrs Nellie Thompson, a clairvoayant lady whose talents were sometimes used by the detectives of the Minneapolis polis force. During these years he also married his first wife Marion Crabb (Marion M. Strese) who was a materialisation medium. It must have been a very special learning experience for Riley living together with a medium with such unusual abilities. At times presumably quite upsetting if Marion didn´t have control of her psychic powers. Military service took Riley Crabb to Hawaii in 1944. After the war he continued living in Honolulu, marrying his second wife Judith (Judy) Crabb in 1950 or 1951. 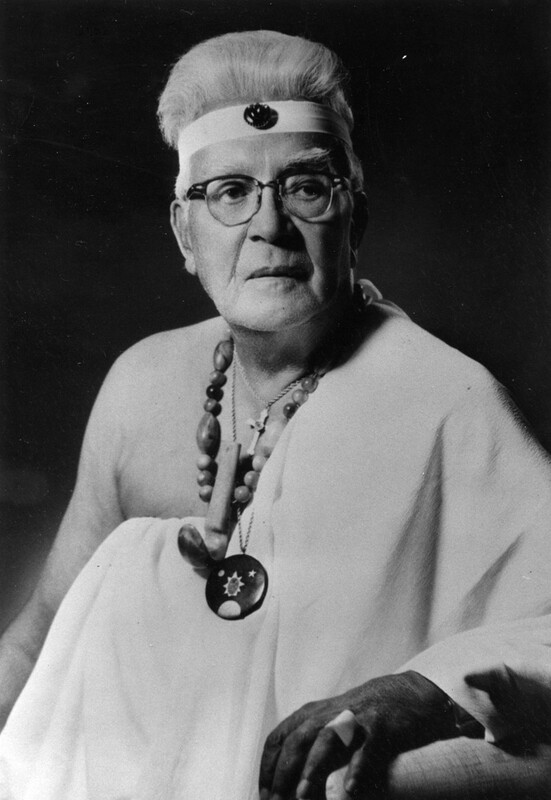 Interested in both Eastern and Western esoteric traditions Riley, during these years in Hawaii, became a student of the local Kahuna philosophy and magical practices, learning from Kahunas Charles Kenn, Kino Lau, David (Daddy) Bray. 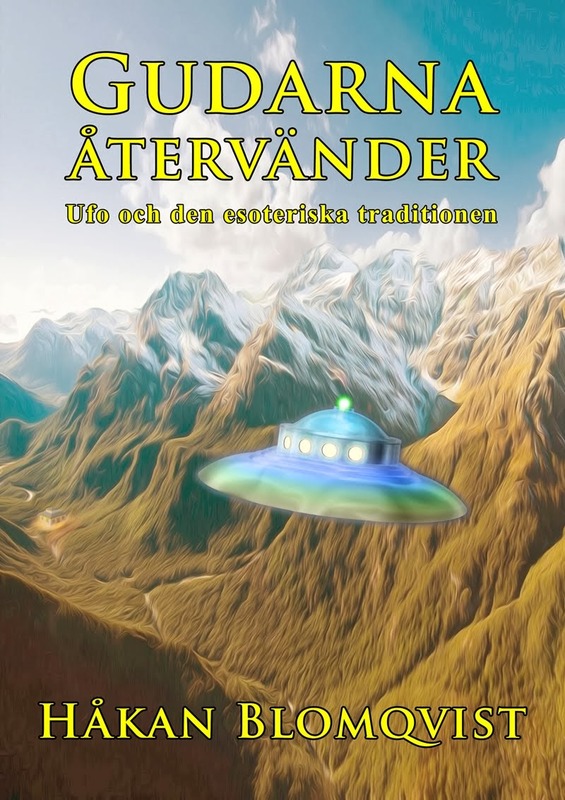 ”Betty Smyser: We have a guest who is an expert on a very unusual subject, Flying Saucers. His name is Riley Crabb. This is so nice of you to come down and tell us about a subject which is so fascinating. And, is it believable? Riley Crabb: Yes, that´s what we´ll find out during your show. 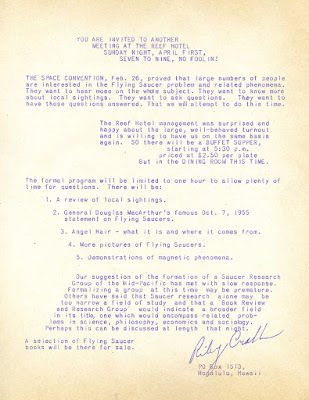 Betty Smyser: First Riley, how did you become interested in inter-planetary travel? It was almost inevitable that Riley would also found a UFO group in Hawaii. He organized a first presentation on February 26, 1956 at Reef Hotel, Waikiki, naming the meeting The First Honolulu Space Convention. Riley suggested the name Saucer Research Group but changed it to Akualele Research Group. During 1956-1957 meetings, or conventions, were held around once a month. 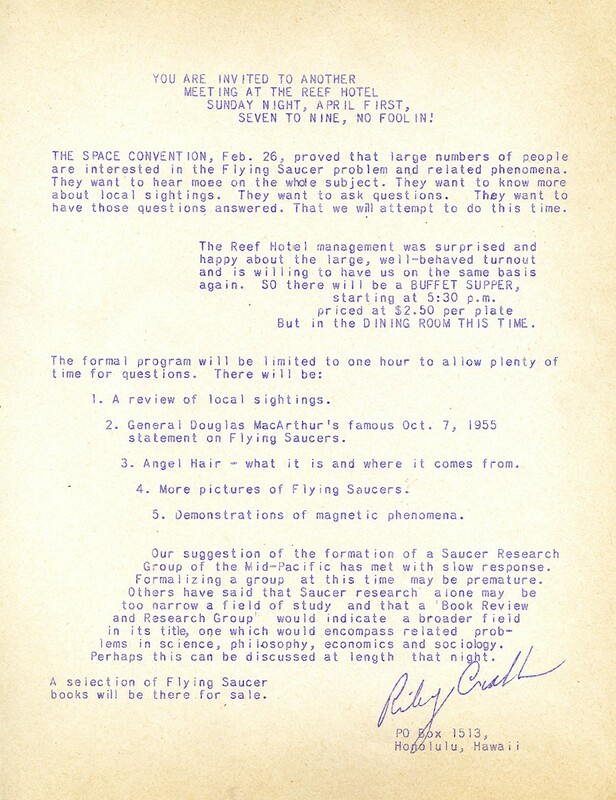 Although interest was great it was obviously not so easy to form a research group as evidenced by this leaflet about the Convention April 1, 1956. 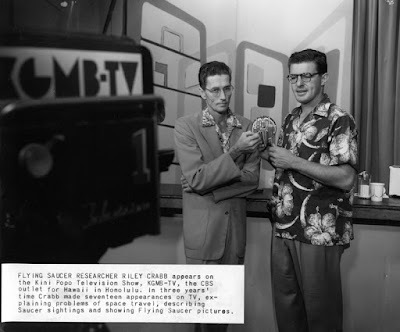 When Riley and Judy Crabb left Hawaii, moving to California in August 1957, it seems that the activity of both Akualele Research Group and the Theosophical Society in Hawaii more or less ceased. This was probably due to the very active and dominant personality of Riley Crabb. 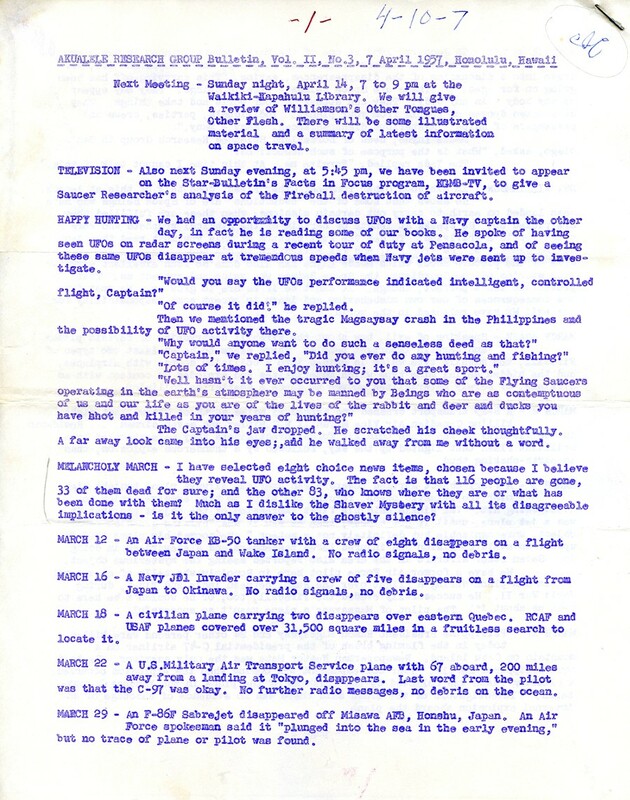 His message in the last Bulletin August 1, 1957, indicates that their move will be the end of the group. 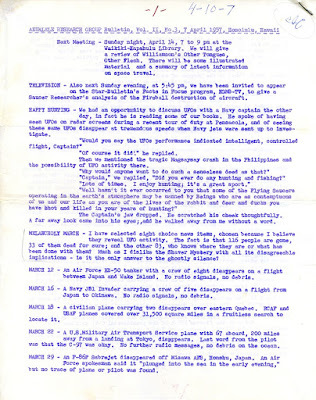 In the BSRF archive I have only found an incomplete collection of Akualele Research Group Bulletin. There are several issues missing. If anyone of our colleagues reading this blog have access to this newsletter, physical or digital copies would be much appreciated.